ChessVibes has a cool entry on upcoming events in the chess world. Topping the list is of course the forthcoming Reykjavik Open which will start next week!! Look out for the Candidate Matches starting in the middle of March! Exciting times in the world of chess coming up! As fans of Reykjavik Open know, a soccer match has become a tradition. 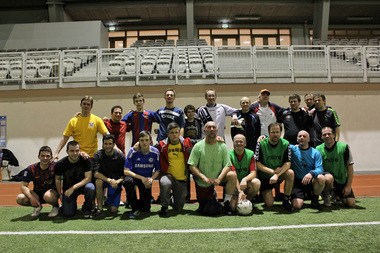 This year the match will be on the 24th of February 22:00-23:00 in the indoor playing hall Fifan. Will you take the Golden Circle Tour?? Susan Polgar’s blog has a small piece about the forthcoming Reykjavik Open. Check it out! Reykjavik Open in only one month!